Personal goals drive our approach to help individuals and caregivers achieve optimal health and independence. The Coordinating Center is a data driven organization using best practices and evidence-based models to achieve quality outcomes and proven return on investment. The Coordinating Center advocates for policy and system change that positively affects the lives of people with the most complex needs. For 35 years, we have translated national movements into ground-level, community-based programs including Transitions of Care, Hospital Readmission Reduction, Aging in Place, and addressing homelessness. Team members are sought out to serve on national, regional and local initiatives thataddress disabilities, care coordination, transitions of care, older adults and affordable housing. workers, nurses, housing specialists and supports planners who live in the communities we serve. We have been rooted in the community for more than three decades and have access to a wide network of resources. 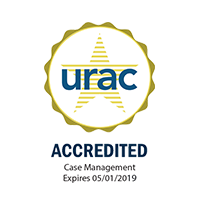 The Coordinating Center is accredited by URAC, an independent organization which promotes healthcare quality standards and Maryland Nonprofits Standards for Excellence, which ensures accountability and high ethical standards. 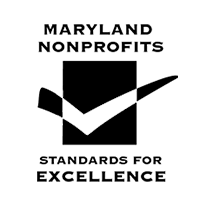 The Coordinating Center is the largest independent community care coordination organization in Maryland and an active leader in healthcare transformation. The Coordinating Center provides a customized approach for the most complex populations with public and private payers, hospitals and government and community providers.